Sounds like the most optimal solution. I'm all for it! I kinda solved my problem by bypassing it i guess. I had a backup from 12 hours prior to the updates that came in the last 24 hours. Using it made the server show up again. This is strange, though, because no one was on the server in that time until i needed to restart it because of the updates. So is it possible that an update corrupted the save somehow? Can confirm, i have the same problem. My server is dedicated and runs on linux, mods enabled, caves enabled and mode is endless. If i may add: The server only doesn't show up. It still accepts commands from the console like before. Players got disconnected while migrating from master or caves on dedicated server. I also have this exact same problem. Worked yesterday, restarted the server today and now users can not access the caves anymore. The server is modded, though. My log looks mostly the same. Right after a user tries to migrate, the server states CloseConnectionWithReason: ID_DST_SHARD_SILENT_DISCONNECT Host is a Debian Jessie system (64bit) and the server is endless. I meant changing the mode of an existing world from endless to survival. When you have clicked on Account in the main menu you select Games in the opening window. There you should see DST listed and a "Servers" Button. There you can generate your tokens. It's also worth pointing out, that no player can join the server if he/she was in the caves before logging out. My friend could join the server, but i could not, since my last location was in the caves. Some people seem to report that the cave entrance is blocked. This wasn't the case on our server. The entrance was open, but upon trying to use it, the player gets kicked. This happens with and without any mods. Changing the game mode to survival did not help. 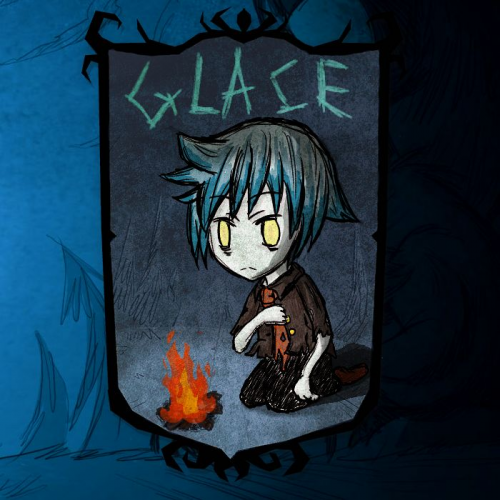 [steam Workshop] http://steamcommunity.com/sharedfiles/filedetails/?id=531158479 [Descripton] Glace was born with a cold heart. His whole body is emitting an aura that slowly freezes everything around him. But his cold heart does not mean he has a cold heart (pun intended). In fact, he really likes to be among friends, but often, he gets rejected with his aura being the cause. 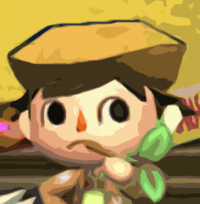 [stats] Health: 100 Hunger: 65 Sanity: 220 [Perks] --Has a cold heart-- His body is like a fridge. Items in his inventory get cooled like in an icebox. He furthermore emits an aura which cools everything around him down. Butterflies really don't like this because they freeze when they get too close to him. He himself does not overheat, which is fine in summer, but... --Hates winter-- He really really hates it. It's his least favorite time of the year. His body temperature will not rise beyond a certain point, so the thermic stone and campfires can only do so much and long travel will be certain death, because the cold hurts him really bad. He takes 2.5 times the damage and temperature changes double in speed for him. So prepare yourself. --Has a strong mind-- Living alone most of the time helped him develope an immunity against the sickness called solitude. But he really hates dark places. When it gets dark, his strong mind means nothing! His sanity will drain 2.5 times as fast in those situations. If you don't do something you easily loose ~50 sanity per night. To counter this fear, he has only one solution... --Likes to be among friends-- Despite his cold heart, he really is most comfortable among his friends. Even the night will mean nothing if he can feel the warmth of another persons heart. This feeling will quickly heal his mental scars. --Does not eat much-- His metabolism is different from most species. This brings forth the problem that he often collects too much food which will later perish all at once or he forgets it entirely. This can be deadly during winter. --Is a fast runner-- Glace is not much more than a twig when it comes to his weight. And if that was not enough, the ground freezes around him before he comes into contact with it. You could say that he slides through his life. He is 42 % faster than Wilson. [From the author] I tried to make it not too unbalanced, but not to the point where this character wouldn't be fun to play with. I used the Extended Character Template from Dleowolf for which i am quite grateful. If you find any misspelling or weird wording please let me know. English is not my first language but i try to improve whenever i can. And finally: Have fun playing!